"SUPing", Stand Up Paddle Boarding is the newest trend worldwide for a good reason ... It is really easy & quick to learn, great fun, requires no special fitness so everybody from 7 to 90 years old can walk on the water ... just like Jesus ! 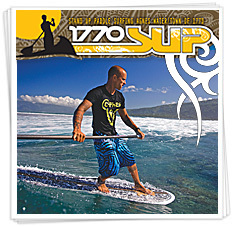 1770 SUP offers THE BEST locations to practice this fantastic sport in a safe & pristine flat water ways of the town of 1770 or several levels of wave surfing on the main beach of Agnes Water. Through this category you will be ablel to book and pay securely online to secure your next tour or beach hire. “1770 SUP SUNSET TOUR” 1770 SUNSET TOUR - 2,5 hours $ 50	 At 1770 SUP we put together a "1770 sunset tour" for you to discover the unique experience of watching the sun setting in the ocean which is pretty exceptional considering we are on the queensland east coast ! “Glide & Ride” - 2.5 hours Glide & Ride - SUP Surfing tour $ 75	 “Glide & Ride” includes: > Introduction as in our “Entree” > Advanced strokes for turning and catching waves > Paddle tour... > Complimentary Dessert! “James Cook Discovery Tour” James Cook Discovery Tour - 3 hours $ 65	 “James Cook Discovery Tour” Introduction as in our “Entree” and Paddle Tour along the shoreline of Town of 1770.